The online valuation price is simply a guide that estimates the assumed price of the car based on the given information. The price is subject to change at any time if the company is faced with technical issues on the website or natural disaster. 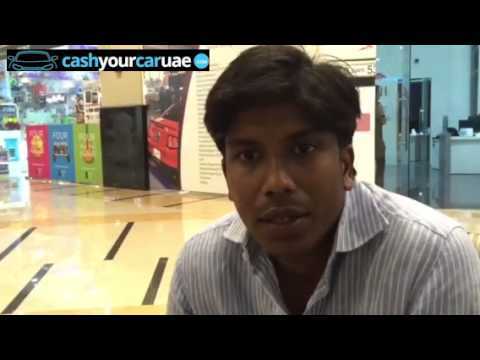 Our expert-on-site will provide you with an official offer on your car. Our experts are experienced and well trained in evaluating the condition of your car so you spend the least amount of time possible waiting for your car’s assessment. We ensure that our offer given upon inspection is the fairest according to the features, history and condition of the car, as well as the current market price. Our online valuation offers an estimation of the price of the car based on the facts given. 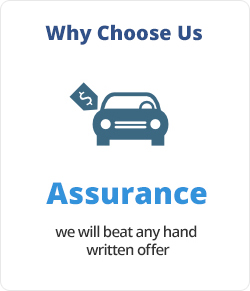 Although we try our best to always make an offer, we are not obliged to make you an offer if your car is not running or has excessive damage. We guarantee a car evaluation that is proficient and timely at both the customer and company’s convenience. 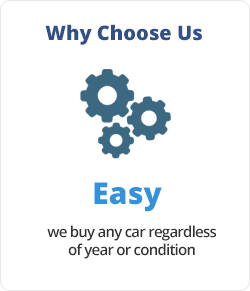 We will offer you a professional and reliable service, taking care of every aspect of selling your car. 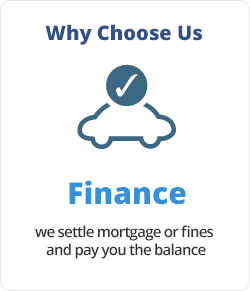 Our online valuating service estimates the price of your car and if you are happy with the estimation you can arrange an appointment right away. Upon inspection we will evaluate your car, and offer you a price that we have decided upon based on the evaluation. If you agree, all you have to do is sign and we’ll take care of your car registration and car ownership. It’s that easy. 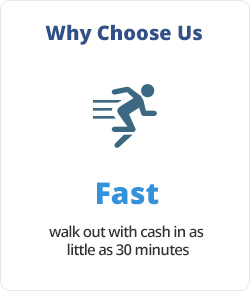 You can be paid in cash on the spot or choose your preferred method of payment. Following inspection of the car our on-site-expert will make you an offer. If you wish to take some time to think about it, the offer will stand for the duration of the day. However, because the market price of cars is constantly changing there are no guarantees that the offered price will remain the same after the day of evaluation. If you choose to accept our offer following the day of your evaluation, we may be obliged to re-evaluate your car. The offer may fluctuate due to market price changes or changes in the condition of your car which would result in a different offer than the original given offer. 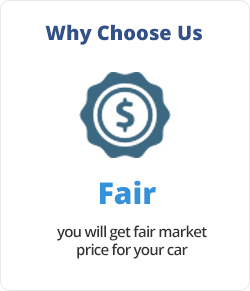 We will evaluate your car, and make you an offer based on based on our professional evaluation. If you agree, all you have to do is sign. We take care of all aspects from car registration to car ownership transfer. Payment will be made in cash instantly or by your preferred method of payment. If you agree with our valuation then you simply sign the contract provided at the point of offer. The contract consists of these terms and conditions only. If you do are not comfortable with the price offered you are free to decline the offer. Once you have signed the contract you may not change your mind because it is a legally binding agreement of sale. We are not permitted to change our mind about price once we have quoted an expert valuation. However, we have the right to withdraw any made offer if it becomes apparent that there are additional faults with the car that went unnoticed at the evaluation stage. If we discover that information has been purposefully held back from us we maintain the right to withdraw the offer. You may choose which method of payment is most suitable for you. Our standard payment method is instant cash payment, but we can also provide cheque payment as well as bank transfer direct to the owner's bank account, which may take up to 2 working days after the day of sale to arrive in your bank account. We hold no responsibility for delayed payments due to bank error or in the event of administrative error. One of our top priorities is to ensure that the information you provide us with is protected. On our website you will be asked to provide some information that you can be identified by and you can be assured that it will only be used in accordance with this privacy statement. 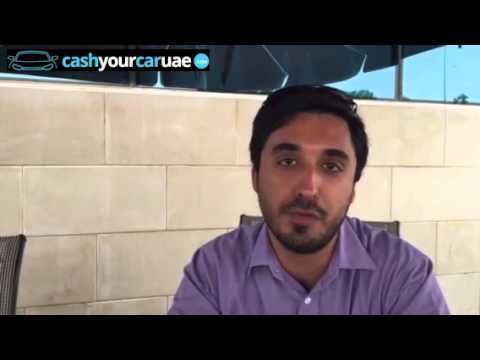 If you have any queries, feedback or comments these should be submitted by emailing us atinfo@cashyourcaruae.com or in writing to suit 105, Al Naboodah Building , Al Qouz 3, Dubai, UAE,.PO Box 37389.